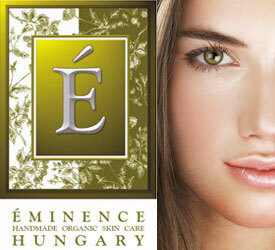 A fruit, vegetable and herbal treatment, chosen for beautifying and therapeutic properties in attaining glowing skin. Your face will start to regulate, acne conditions will begin to calm and a beautiful glow will return. This facial will calm oily and problematic skin types. The facial begins by using steam to exfoliate the skin; then an organic peel, followed by extractions, a probiotic masque, correcting serum for blemishes, an herbal spot treatment and ending with a soothing moisturizer to bring radiance back into your skin. Not an hour-long facial, but a quick 45-minute treatment that serves as a touch-up to help rejuvenate and cleanse the face. Dirt and impurities from the face are removed using steam, exfoliation, light extractions and then followed by a soothing masque and a spray of tonique and moisturizer. European-style facial, with Hungarian face massage techniques will circulate blood flow and revive your skin's elastic properties. Organic products are used to help rejuvenate inflamed skin, reduce aging, restore elasticity, moisturize and improve youthfulness in the skin. The facial begins with a deep cleanse under steam, exfoliation, extractions, masque, essential serums and a spray of tonique and moisturizer. This entails a deep core cleansing, using steam to lift impurities, followed by gentle extraction. It concludes with a relaxing massage and organic treatment masque and moisturizer. 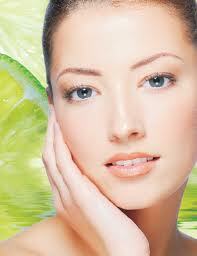 Microdermabrasion is an advanced method of exfoliation and removing of dead skin cells. This treatment will improve one's fine lines, blemishes, scarring, stretch marks, age spots and sun damage. This facial begins by using steam to pre-exfoliate the skin, followed by using a diamond tip wand to remove dead layers of skin cells. After the procedure, light extractions, a calming masque and a spritz of tonique and a moisturizing sunscreen is applied to rejuvenate the skin. A follow-up every two weeks is recommended for best results. The skin is purified and cleansed of dead skin cells by this peel. The technique helps to rid one's skin of scars and small imperfections, leaving a harmonious, younger-looking complexion. The facial peel begins with facial procedures (cleaning the face and pre-exfoliation with steam) followed by a calming peel and a bio peel to deeply penetrate the skin layers. The session is concluded with a masque, tonique, oxygenating gel and a moisturizing sunscreen. Post-treatment is scheduled 3-7 days after, which includes light extractions and a facial. For best results, return monthly until your skin goals are reached. Benefits: The Bio Peel works through a cellular metabolism, exfoliating unwanted cells from deep within, thus preventing the aging process. It can treat: wrinkles, oily skin, acne, fine lines, stretch marks, scars, pigmentary spots and lifeless skin (smokers).